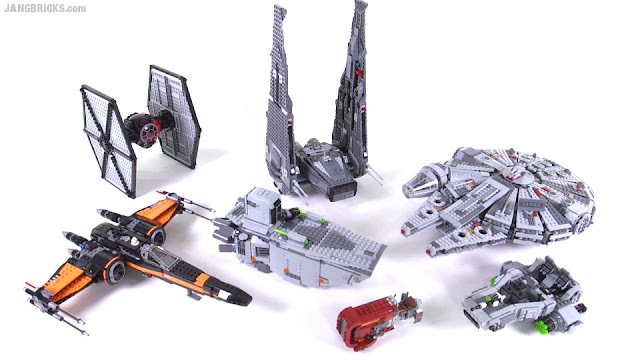 LEGO Star Wars TFA first sets vs. real: How'd they do? No plot spoilers here, no spoilers in the video either! With Star Wars Episode VII: The Force Awakens now out, I'm finally able to put away all of the theories & interpretations of tiny bits of blurry trailer framegrabs and compare these LEGO sets to their real movie counterparts. I take a look at each wave 1 vehicle up close once more, one at a time, and discuss how I feel they compare to the actual source material. Video - LEGO Star Wars TFA first sets vs. real: How'd they do? Wave 2 sets hit stores January 1!